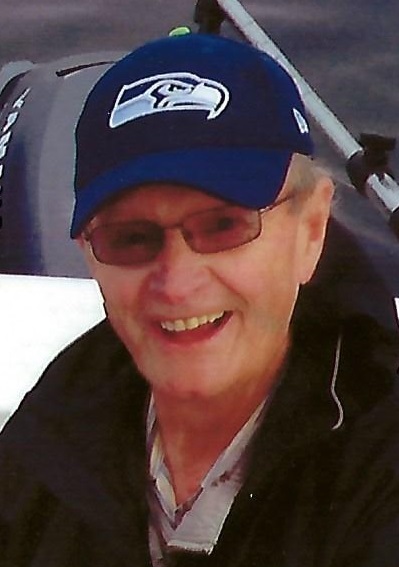 Hugh passed away quietly at the Claresholm General Hospital on January 14, 2019 at the age of 81, after a 2 year battle with multiple myeloma. He was born in Galt, Ontario to Marjorie and Walter Thompson and was raised in Smiley, Saskatchewan. After high school, he was employed by Co-op Oil and worked the oilfields in Alberta and Southern Saskatchewan. He married Pat in 1959 with stays in Estevan, Regina and Saskatoon. From 1963 to 1967 Hugh attended and graduated from the University of Saskatchewan with a Bachelor of Science in Agriculture. He then accepted a position with Shur Gain and moved to Lethbridge in the summer of 1967. In 1970, the family moved to Claresholm, where he began his career with Claresholm Feed Service. He continued to work in the feed and fertilizer business until his retirement in 2003. During Hugh’s time in Claresholm, he was actively involved as a Cub Scout Leader and member of the Lions and Rotary Clubs. He participated and coached baseball, hockey and curling for many years. He was an active Volunteer Fireman for 35 years being Chief for 7 of them. In 1983 he was awarded the Claresholm Citizen of the Year. Hugh is survived by his wife of 59 years Pat; his children Tracey (Dale) Ohler, Tony (Deb) Thompson, Daryl (Arlene) Thompson and Lisa (Roy) Johnson. He also was blessed with 9 grandchildren and with 6 great-grandchildren. He is also survived by his brother Bob (Sally) Thompson and sister-in-law Marlene Dorsett and numerous nieces and nephews. A Celebration of Hugh’s Life will be held at 2:00 PM on Sunday, January 20, 2019 at the Claresholm United Church (4803-2nd Street West, Claresholm). In lieu of flowers, donations may be made to the charity of your choice.